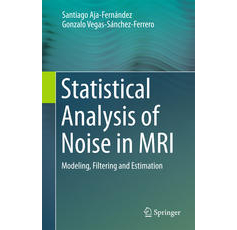 Rabanillo, I., S. Aja-Fernández, C. Alberola-Lopez, and D. Hernando, "Exact Calculation of Noise Maps and g-Factor in GRAPPA using a k-space Analysis", IEEE Transactions on Medical Imaging, vol. 37, issue 2, pp. 480-490, 2018. Sanz-Estébanez, S., I. Rabanillo-Viloria, J. Royuela-del-Val, S. Aja-Fernández, and C. Alberola-Lopez, "Joint Groupwise Registration and ADC Estimation in the Liver using a B-Value Weighted Metric", Magnetic Resonance Imaging, vol. 46, pp. 1-8, 2018.